Remember that old style rule that said: “No white after Labor Day.”Wellllll, it seems that the style savants didn’t get THAT memo and suddenly white ankle boots are everywhere for Fall 2017. Now just between you and I white boots are “O.K.” if you want to call some major attention to your feet or pant line but as a whole, if you aren’t one that’s been blessed with the thinnest thighs on the planet perhaps this trend might be one to delete from your Pinterest board. However, if you find yourself longing to wear this trend and you don’t have the thighs of a supermodel might I suggest flare leg pants and an attitude of utter confidence. 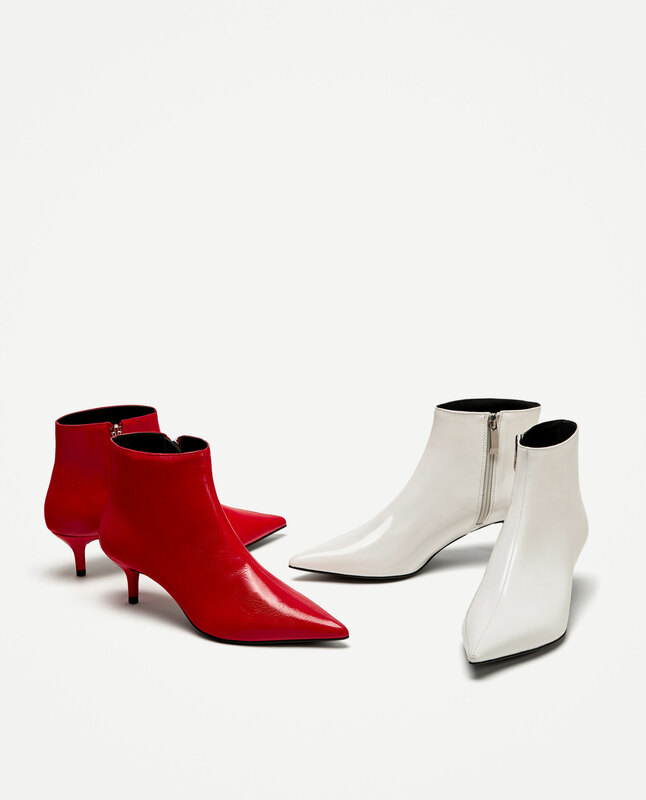 At the end of the day I’m all about you being you and if you must wear white (even after Labor Day) why not check out these super affordable boots from Zara. They’re under $50.00 ($39.90 to be exact) have a very walkable kitten heel and won’t break the bank which is really a good thing because trends come and go and I have a feeling this trend won’t be on repeat.